Comments: Palm Native to Brazil and Uruguay where it grows in large groves. Feathery blue-green fronds and yellow-orange fruit. 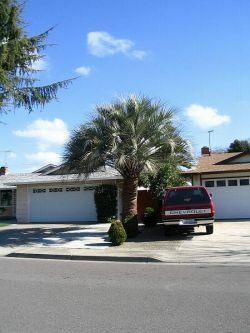 This palm is frost tolerant and fast growing to 40�.